Whether treating a white rhino for tooth decay or pioneering artificial insemination for Sumatran tigers, our Veterinary Services department is at the heart of ZSL’s commitment to animal welfare and conservation. 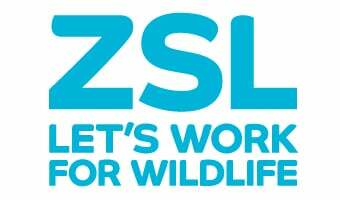 Aspiring to achieve the highest standards of care, ZSL’s vet team provide both clinical and pathology facilities for ZSL London Zoo and ZSL Whipsnade Zoo. The department has grown steadily since 1951, when Oliver Graham Jones became the first full-time vet to be appointed by ZSL. State of the art animal hospitals were opened at ZSL London Zoo in 1955 and ZSL Whipsnade Zoo in 1998, and the team now includes four vets, five vet nurses, a pathologist, a microbiologist, a technician, a welfare officer and an administrator. To promote good health, Veterinary Services operates a detailed programme of preventative medicine, performing health checks regularly to catch any potential disorders early and working closely with the zoo’s nutrition experts to provide the animals with a healthy diet. The vets maintain a comprehensive database of written and photographic clinical records, which can be used to pre-empt future illness and as a reference for vets treating animals at other zoos and in the wild. Veterinary Services also supply vital field support for ZSL’s direct conservation action and prepare the wildlife vets of the future through their teaching of undergraduate and graduate veterinary students.